Compare.com’s 2009 Meerkat campaign has won Gold at the 2010 British Television Advertising Awards, earning recognition for Jingles, Sergei, Puppets, Jacuzzi, The Sun Interview, Aleksandr Bloopers, and Sergei Bloopers. Aleksandr Orlov, Russian mascot for the “Compare the Market” campaign, uses his own YouTube channel to remind viewers not to confuse his “Compare the Meerkat” site and comparethemarket.com, which is for humans searching for cheap deals on their car insurance. Also check out the Facebook page, Twitter channel. 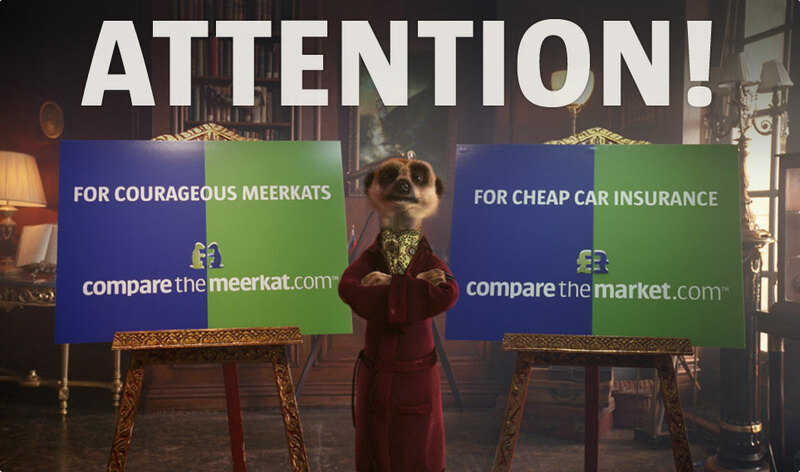 The Compare the Meerkat campaign was developed at VCCP, London, by creative directors Steve Vranakis and Darren Bailes, copywriters Rich Connell and Matt Lloyd, art director Clem Woodward, agency producers Olly Claverley and Carly Parris. Filming was shot by director Darren Walsh via Passion Pictures with director of photography Olivier Cariou and editor Jamie Foord. Audio post-production was done at Wave Studios. Jingle won three Gold awards for Best 10-20 Second Commercial, Financial and New Creative Team, and a Silver award for Direct Response. Sergei won a Silver for Financial. The campaign won a Gold award.